Watch the Youth Animation Forum Video here! 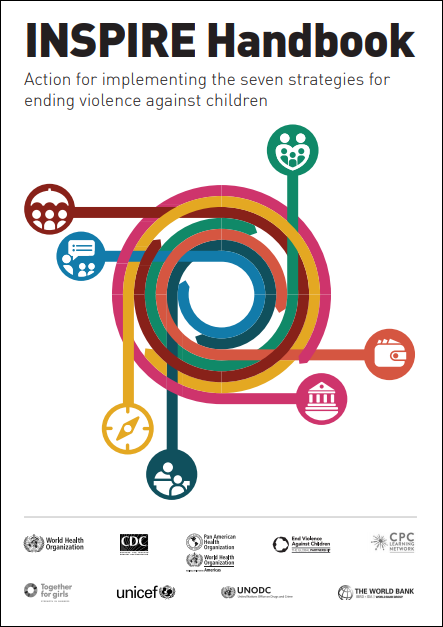 Today WHO and partners release the INSPIRE handbook: action for implementing the seven strategies for ending violence against children, a guide to putting in place a select group of measures to prevent violence against children. 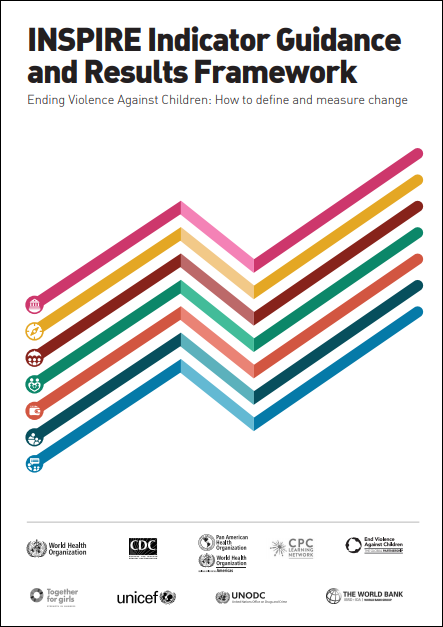 Also today, UNICEF and partners launch the INSPIRE indicator guidance and results framework, a companion document designed to help monitor progress and track changes over time as the INSPIRE strategies are implemented. Education and life skills: for example, establishing a safe school environment and improving children’s life and social skills. The new handbook, targeted towards policy-makers, practitioners and advocates, provides detailed information on how to select interventions that are best suited to national and local contexts, and how to implement the interventions and the package as a whole. Its guidance is relevant for all sectors whose work impacts on children, in particular the education, criminal justice, health and social welfare sectors. The indicator guidance includes a set of core indicators and information about how to define and measure them. The indicators are designed to be used side-by-side with the programming guidance for each strategy included in the implementation handbook. Globally, it is estimated that up to 1 billion children aged 2-17 years are subject to physical, sexual or emotional violence each year. For many of them, violence leads to severe, lifelong health and mental health consequences. Exposure to violence at an early age can impair brain development and propel victims to engage in risk behaviours such as smoking, alcohol and drug abuse, and unsafe sexual practices. Children who experience violence are also more likely to attempt suicide and endure a range of illnesses later in life, including anxiety, depression, heart and lung disease and HIV. At a societal level, violence places a massive burden on national economies, costing countries billions of US dollars each year in health care, law enforcement and lost productivity. Copyright © 2018 Global Partnership to End Violence Against Children, All rights reserved. The ICPNC joined with partners including the Canadian International Education Policy Working Group (CIEPWG), The Romeo Dallaire Child Soldiers Initiative and Human Rights Watch, in co-signing a joint public letter to the Ministers of Foreign Affairs, National Defence, and International Development and La Francophonie. The joint public letter welcomes Canada’s endorsement of the Safe Schools Declaration earlier this year, and urges the Government of Canada to continue Canada’s international leadership in support of protecting the rights of children affected by armed conflict. For more information, please consult the final version of the joint letter. The International Child Protection Network of Canada is pleased to share the 2016 Annual Report highlighting last year’s successes! ICPNC is cognizant of the need for greater emphasis on child protection as a development approach resulting in fertile ground for innovative work. The Child Participation Working Group proudly coordinated and contributed to International Journal of Human Rights Special 2017 Issue: Facilitating Meaningful Participation in Child Protection which was successfully published to discuss the challenges and opportunities that were highlighted at the Facilitating Child Protection in International Child Protection Conference regarding the actual and potential participatory role of children and young people in effective child protection. Excerpt: In recent years, increasing international attention surrounding children and young people’s participation in international development and humanitarian interventions has grown. This special issue contributes perspectives from different continents and fields of study/disciplines. At the same time, the articles raise important questions regarding the import of children and young people’s participation in international child protection and readers will thereby be encouraged, it is hoped, to consider the implications for children’s rights in a broad range of practical settings as well as for child human rights theory. We hope that the arguments presented in this volume will add enthusiasm to ongoing, critical research and mobilization towards effective child protection. The February 2014 issue of the ICPNC Newsletter is now out! Click here!